We know that conditioning your hair may seem like an unnecessary step. What exactly does conditioning do? Is it worth the time and money? Conditioning your hair is not something you should overlook. Conditioning is especially important for African American hair. Our Treasured Locks conditioners are pH balanced to compact the outside layer of the hair, called the cuticle. In black hair, the cuticle often doesn't lay flat resulting in hair that doesn't reflect light well and can appear dull. Flattening the cuticle makes it reflect light rather than absorb it. What this means is your hair is shinier. Conditioning the hair also improves its elasticity. The ability for your hair to stretch is very important. The kinkier/curlier your hair, the more important it is; because your hair will be pulled as you comb it and style it. If the hair cannot stretch, when it's pulled it will actually snap (break). 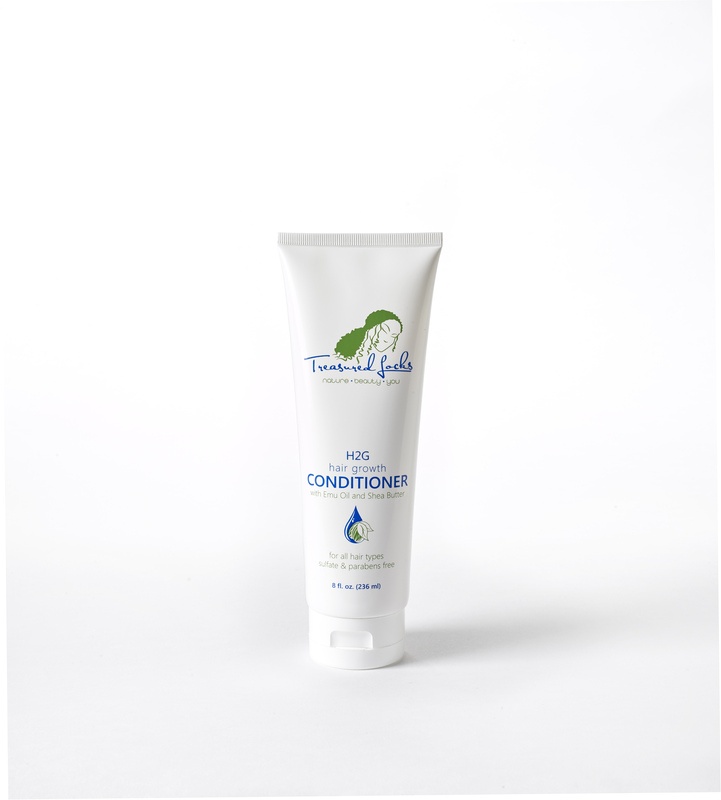 Proper conditioning in addition to improving elasticity, leaves a slight, smooth semi-waxy coating on the hair. This coating acts as kind of sheath, smoothing over rough surfaces that can catch on each other causing tangling. The slightly waxy coating on the hair in addition to making it look shinier and preventing tangles helps to seal moisture into the hair shaft. Now you know. Conditioning your hair is an investment of a few minutes and a few cents that will lead to healthier, shinier, longer hair. Make sure you condition your hair each and every time you shampoo.